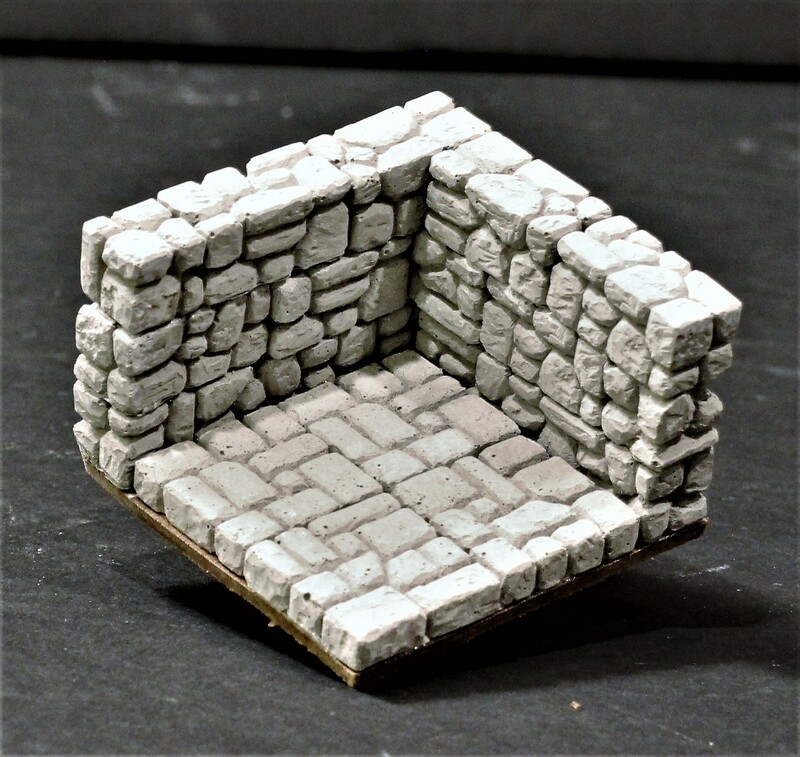 There are two styles of wall textures, and two styles of floor tile textures available. 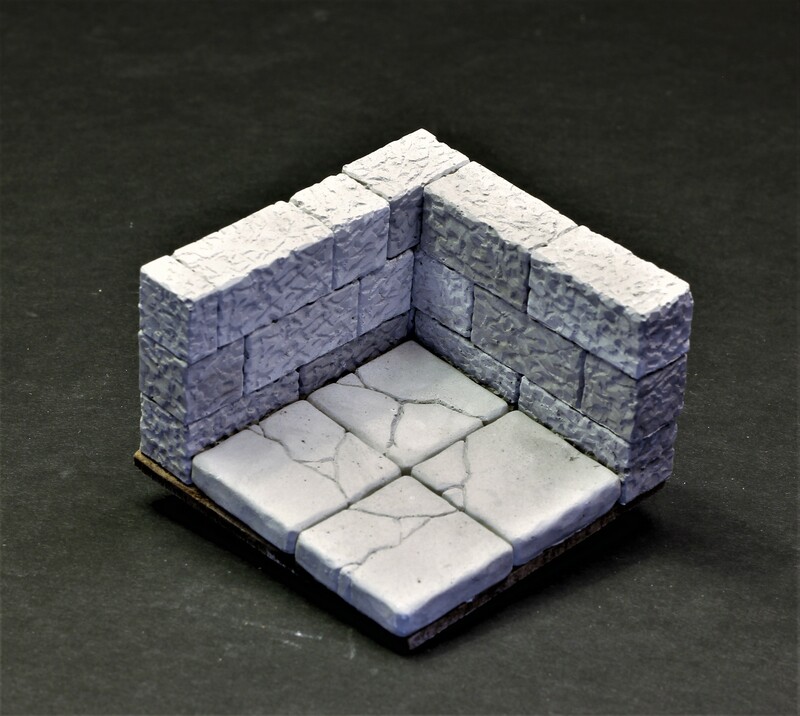 Because the terrain modules are built block by block, these styles can be mixed and matched when ordering custom pieces. The walls on this piece have a semi-smooth surface, similar to chiseled stone. The floor tiles are also semi-smooth in finish. Note that this style of floor has random ‘cracks’ to produce an old, worn look and feel. The tiles themselves are not actually broken, they just have that feature cast into the stone.